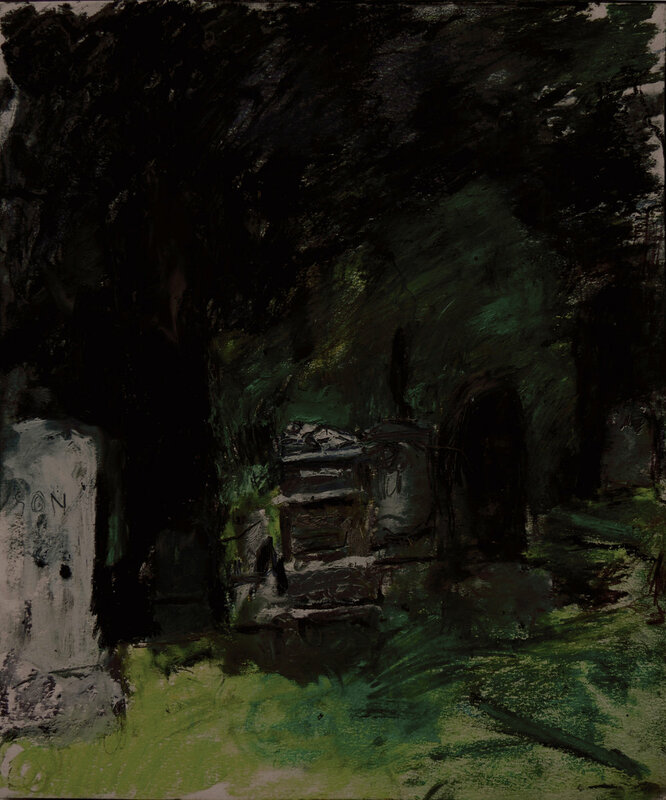 I have been drawing the funerary statuary at Brooklyn's Green-Wood Cemetery, one of the great memorial parks in the United States that is in walking distance from my home over the last four years. These works are a part of my drawings of public statuary, the Anna Pierrepont Series [howardskrill.blogspot.com]. I am avoiding submitting drawings that I made of slumping angels. I include a statue of a man named Wood staring downward from the pinnacle of his mausoleum, interjecting his perpetual presence into the world with confidence bordering on arrogance. A second work is of a man named Lawson in a perpetual waltz with his granddaughter. The artist captured the devoted affection between the two that forcibly excludes the rest of the world. A third monument is of a child named Frankie holding a sling shot over his shoulder that will never been hurled. 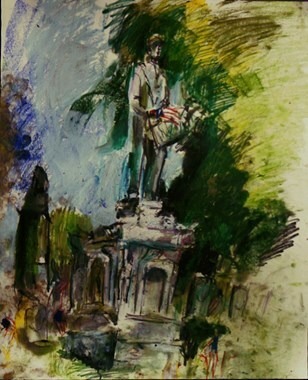 A fourth monument is of a drummer boy that hovering over Union graves with his drum covered by an American flag. The last is a forested glade with an infant laying on the top of a grave. I am an artist educator living in Brooklyn with my wife and one of my two adult sons.